First of all I’d like to thank you all for a wonderful food you provided for our staff. The food was very delicious, it was delivered piping hot and on time. We’d like tell you that when we went to the tasting we thought the food was fantastic then, but was pleasantly surprised to find out the food for our staff party was even better than the tasting. Thank you again for your great service and wonderful food. Party turned out to be a huge success. The venue [is] absolutely gorgeous. Staff and Avery extremely friendly and helpful. Excellent price as well. They made it easier on us with the setup and take down. ABQ Party Space exceeded our expectations. Everyone was so helpful and it was so easy to set up. The party was a huge success and stress free. I would definitely book another party here! Great place. Love the lights and the staff was amazing. We were extremely happy with the service at ABQ Party Space. Avery has been exceptionally helpful from the beginning – helped us plan the party & with clean up. 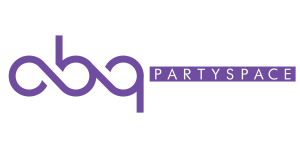 We were very pleased with the service we received from all the staff at ABQ Party Space. We definitely will recommend this party space to our family and friends! I had a wonderful experience. They were really helpful. Would have a party here again. I liked it so much. The place is fun and ABQ party space is perfect for a party. Thank you!